& i have really started to pop! i have about 12 more weeks to go (that is if the baby is on time.. which i doubt it will be). only 12 weeks! i know this month is going to fly by, with spring break & traveling to france right around the corner (& yes, my dr. approved me to fly). we'll get home from france & it'll be the first of april & we'll go straight into finals & baby showers.. so it's also safe to say april will be a quick one. but i'm sure may is going to really drag on while we wait for this little guy to make his appearance. i am so excited. it's so weird to think i'm at this stage in my life.. where i'll be a mom. i definitely did not think it would happen so soon, but i'm weirdly not too stressed or nervous about it. so i hope that mentality sticks with me as soon as i go into labor! 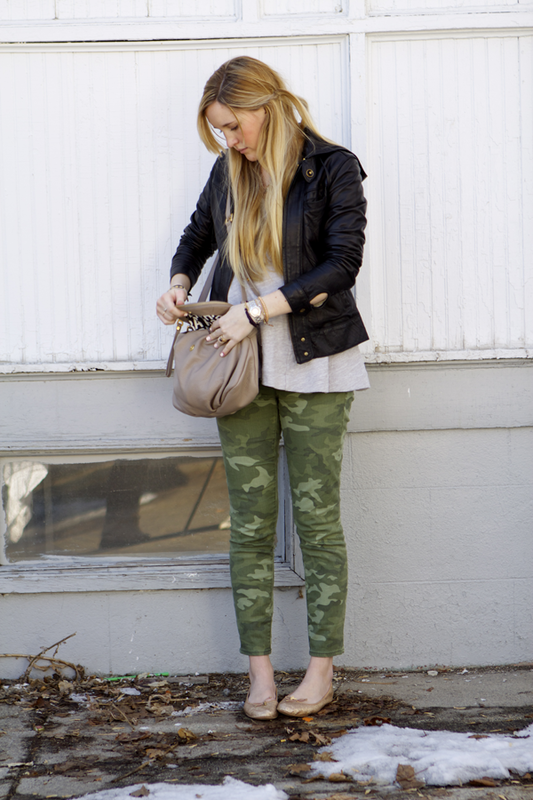 Love the camo denim and marc jacobs bag! 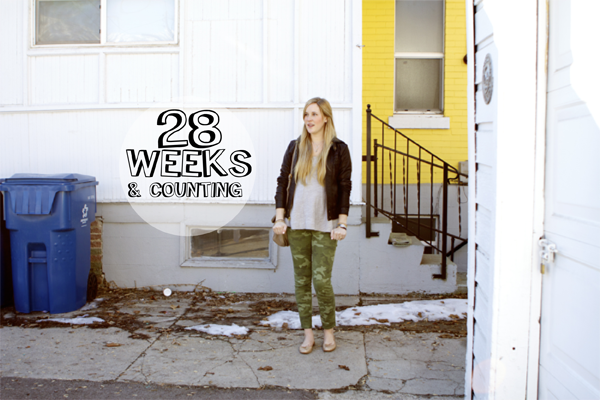 At 28 weeks you look fabulous!! I would love for you to join my weekly style link up sessions on my blog! you wear those pants well! 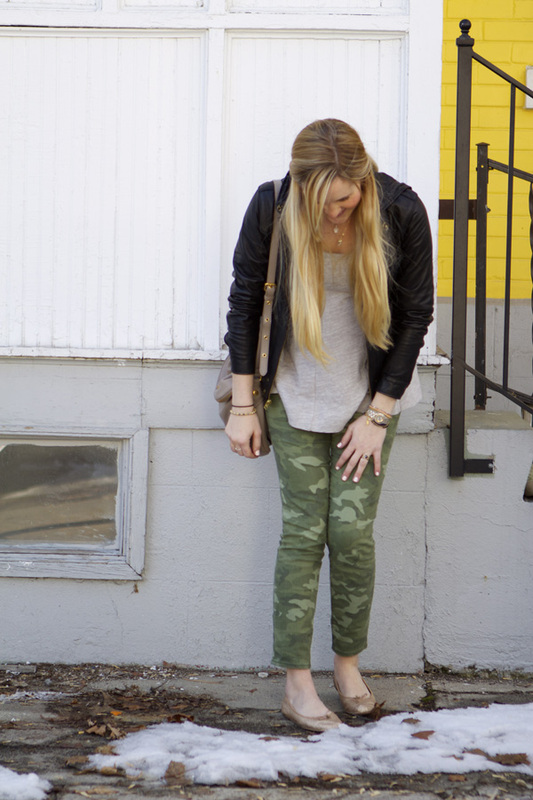 i've been wanting some camo pants!! for a pregnant mama, you sure look cute!! !